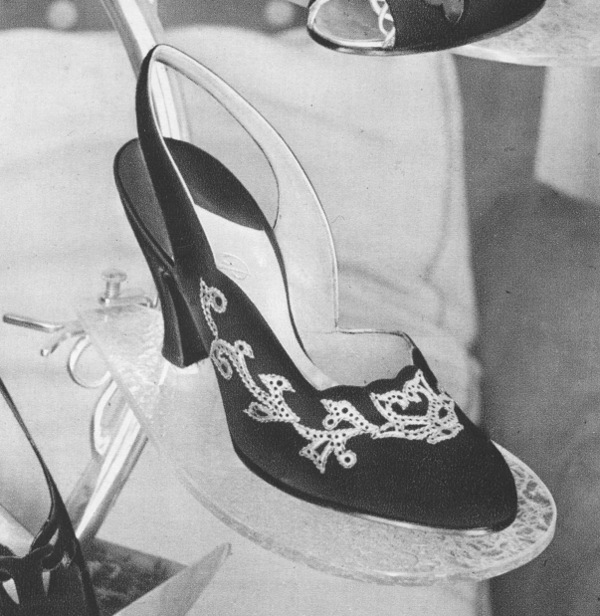 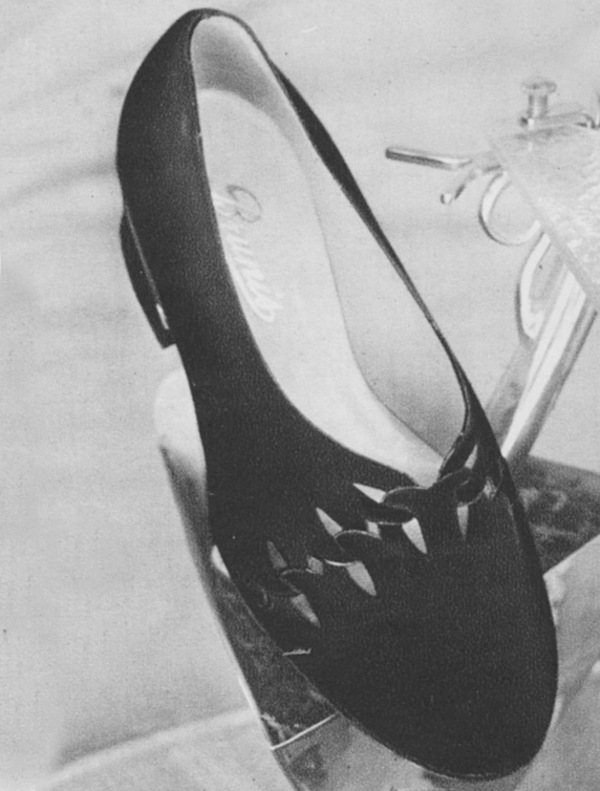 No more wedges and wartime's thick soles: in 1950 shoes began to lighten although designs remained bulky with decorations and weaves to make footwear more graceful. 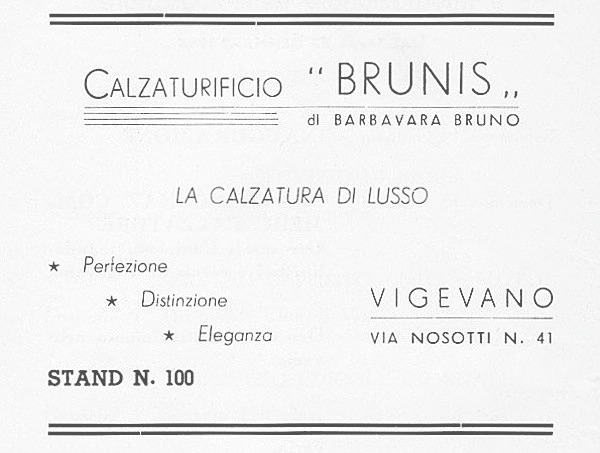 Within a few years, Vigevano was the engine of a transformation in footwear’s shapes with the contribution of many shoemakers like Brunis' owner Bruno Barbavara. 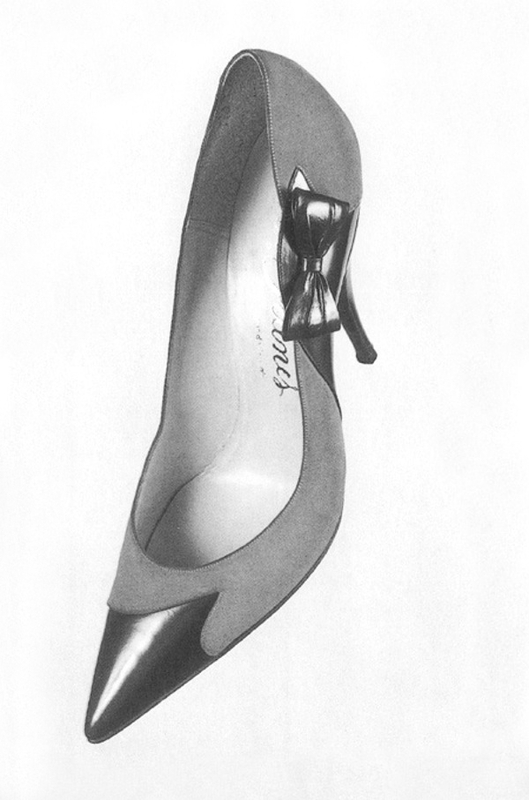 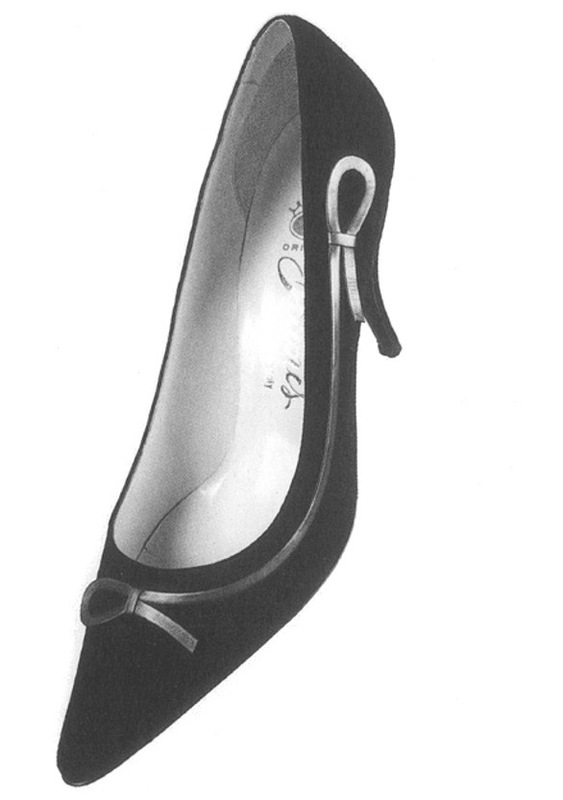 In the mid 50s the stiletto heel was born, lines began to narrow and toes got longer. 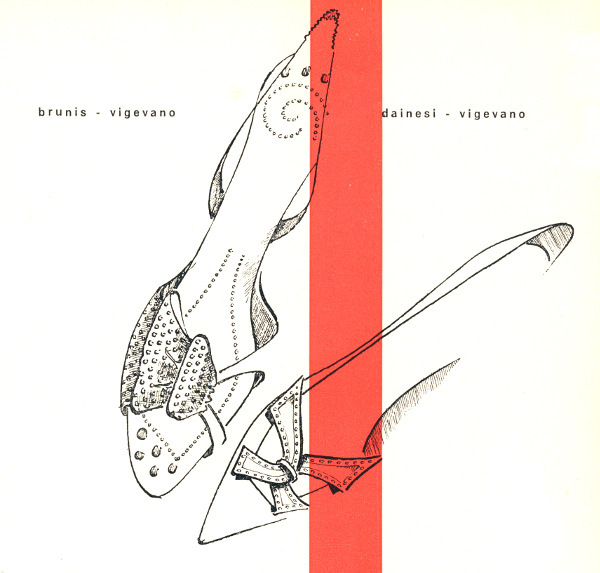 These models by Brunis of Vigevano range from the 1950 up to 1959 and well represent this transformation. 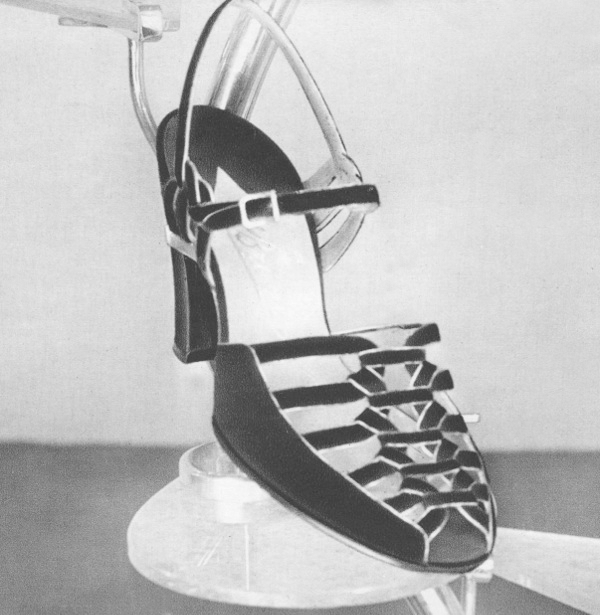 Source: "Calzatura - Documenti Di Fotografia Dagli Anni '50 Agli Anni '70"